Read the latest ICAA newsletter here. 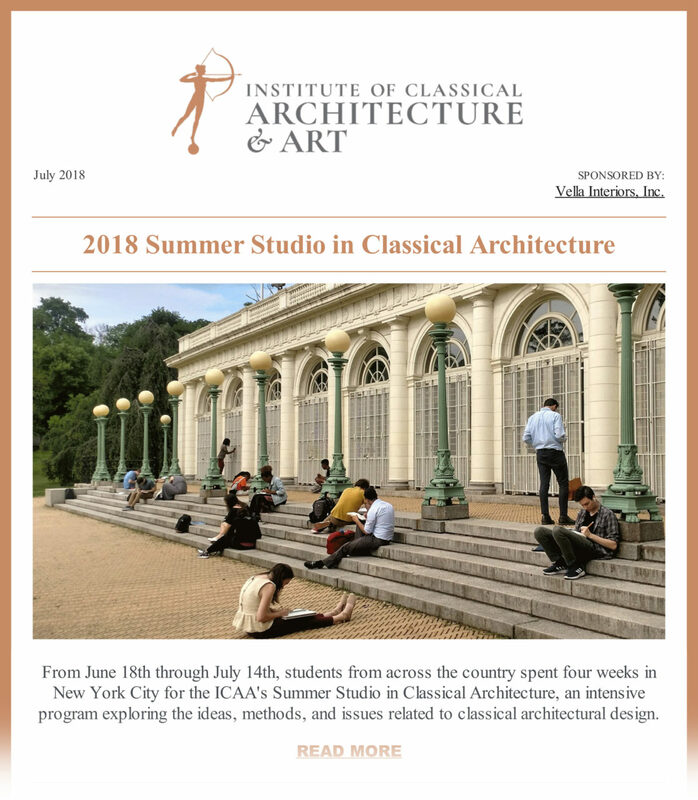 Published July 31, 2018, it features a recap of the 2018 Summer Studio in Classical Architecture, fall continuing education courses, the ICAA's upcoming art exhibition with Classical American Homes Preservation Trust, upcoming travel opportunities, and more. View the ICAA July 2018 Newsletter.